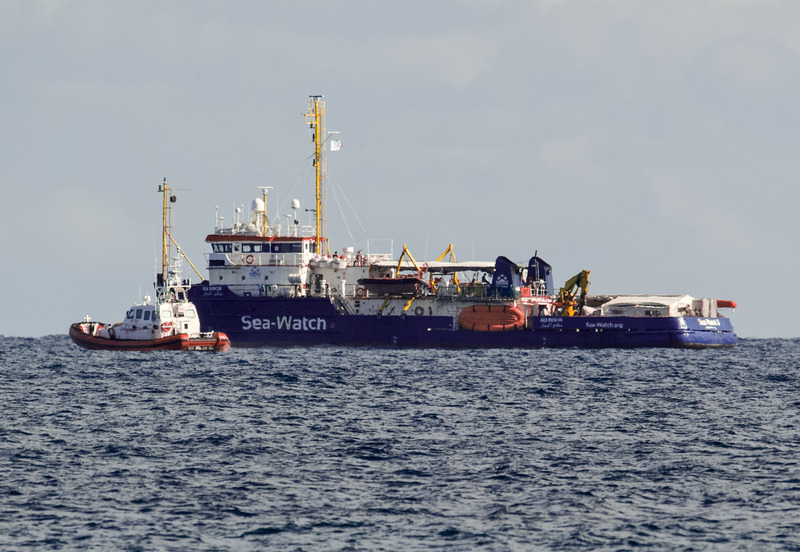 The German aid group Sea-Watch tweeted that it has received no response to multiple requests for the Dutch-flagged Sea Watch-3 vessel carrying people rescued off Libya on Saturday to access a port. The boat was permitted to enter Italian waters Friday because of deteriorating weather conditions, and the Italian coast guard said it just off Syracuse, Sicily, flanked by coast guard and financial police boats. Italy and Malta, the closest EU nations, have both refused to allow entry to rescue vessels operated by humanitarian groups in what they say is a bid to discourage smuggler boats from departing Libya by diminishing the prospect of rescue. Italian Interior Minister Matteo Salvini told reporters in Rome that he sent a letter to the government in the Netherlands officially requesting that they organize landings for the migrants "aboard this vessel that waves a Dutch flag." Dutch Migration Minister Mark Harbers said that without the prospect of such a comprehensive solution to how to process migrants rescued at sea that the Netherlands "will not take part in ad-hoc measures." He added that the ship flying the Dutch flag doesn't oblige the Netherlands to take action. European Commission President Jean Claude Juncker's spokesman said that the commission is in touch with member states, and was watching the events closely. "Our position is clear: The safety of the people on board must be our first concern and priority. What is urgently needed in the Mediterranean are predictable arrangements to ensure disembarkations of rescued persons can take place safely," spokesman Margaritis Schinas said. 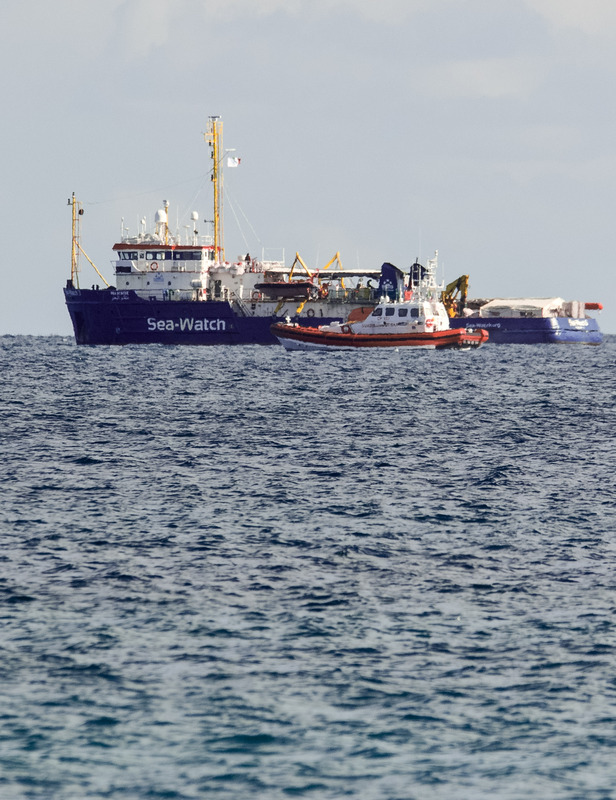 A similar impasse was resolved last month when Malta allowed two to disembark 49 migrants two NGO-operated vessels, including Sea-Watch 3, after the EU brokered a deal to distribute the migrants among eight EU nations. UNICEF's spokesman in Italy, Andrea Iacomini, lamented the frequency of such stand offs. "Is it possible that Europe enters into a sort of humanitarian paralysis every three days for dozens of human beings, including children, without coming up with a structural and shared solution," Iacomini said. "I hope that European governments find a speedy agreement for a humanitarian solution that offers a safe port to the eight unaccompanied minors on the Sea-Watch. A child is a child, not a hostage." Mike Corder in The Hague and Raf Casert in Brussels contributed to this report.